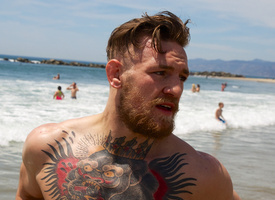 Coming soon to Fightland: Explore Venice Beach with Ireland’s Conor McGregor in our first episode of Moving Portraits - Title Shots. Watch the trailer for our new episode of Moving Portraits with UFC strawweight Kailin Curran. 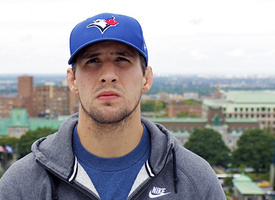 In our latest installment of Title Shots, we explore Montreal with UFC Welterweight contender Rory MacDonald. In this episode of Moving Portraits: Title Shots, we travel to Santa Cruz to learn how a lifetime of surfing and skating has shaped middleweight Luke Rockhold's fighting style. In our first episode of Moving Portraits: Title Shots, we explore Venice Beach with Irish UFC featherweight Conor McGregor to learn how his obsession with movement has shaped his fighting style. 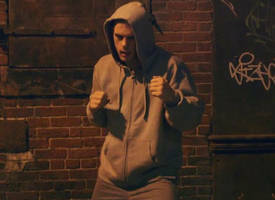 Joe Lauzon: "The Problem Solver"
Don't be fooled by the baby face and computer science degree -- Joe Lauzon is a killer.